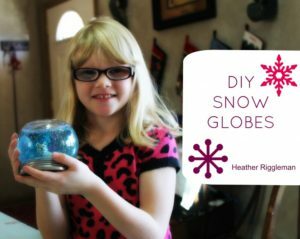 Click here to watch NTV News segment of Marylyn and I make snow globes! NTV News – DIY Snow Globes. We are well into December with no sign of snow. While I enjoy the 40 plus degree weather my kids keep asking, “When’s it gonna snow?” As if I have any control over the weather, wouldn’t that be a great super mom power? 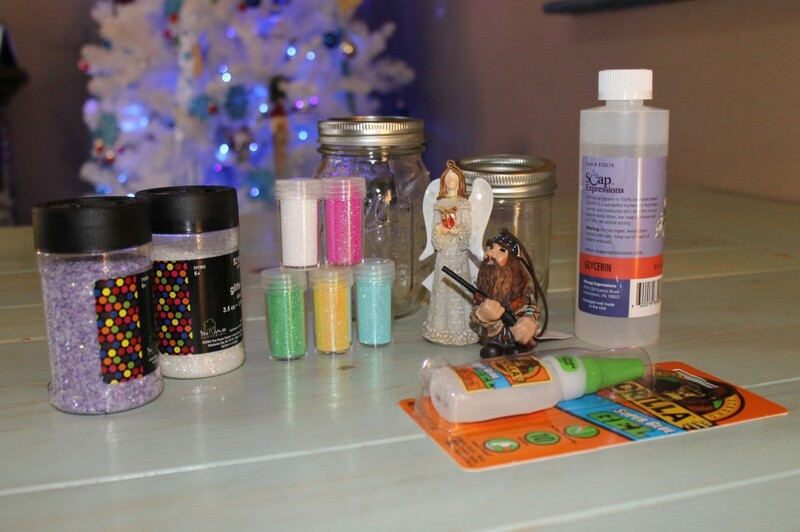 Since I can’t make it snow, I opted to create a glitter wonderland where snow falls at a moment’s notice housed under mason jars. The shimmering magic of ‘snowfalls’ captures their attention inside this classic and simple toy. Almost any jar works for this project: Baby-food, pimiento, and olive jars are good choices. 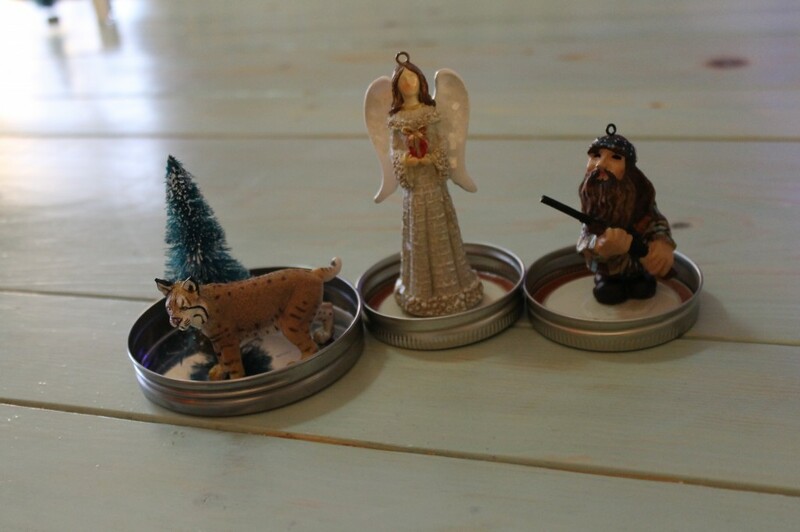 Look for plastic or ceramic figurines (metal ones are prone to rust). 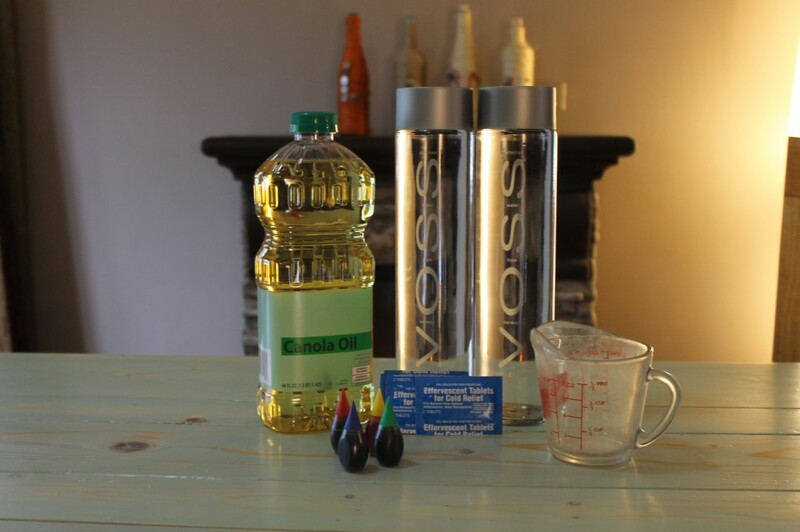 You’ll also need epoxy or super glue, distilled water, glitter, and glycerin. I found all my supplies at Hobby Lobby. 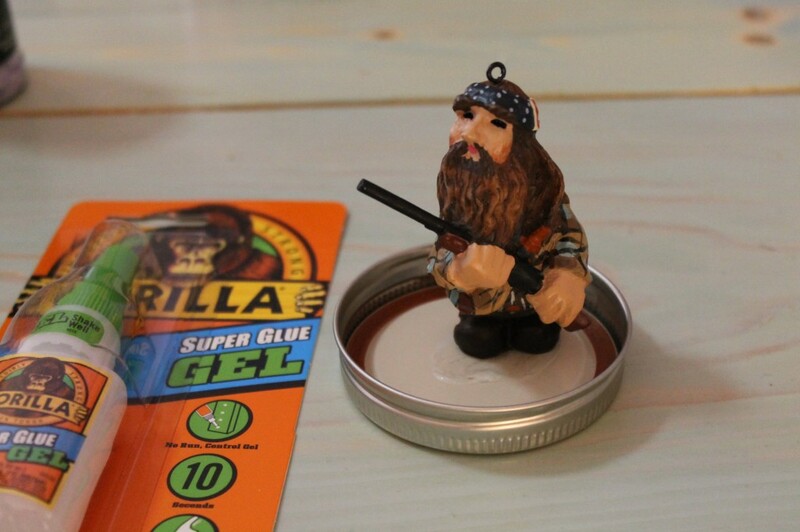 With clear-drying epoxy, glue the figurine to the inside of the lid, and let the glue dry. 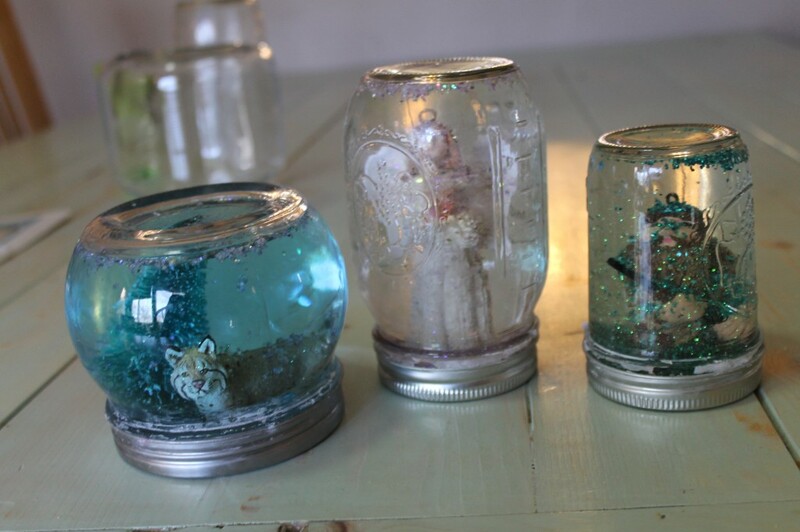 Fill the jar almost to the top with distilled water; add a pinch of glitter and a dash of glycerin to keep the glitter from falling too quickly. 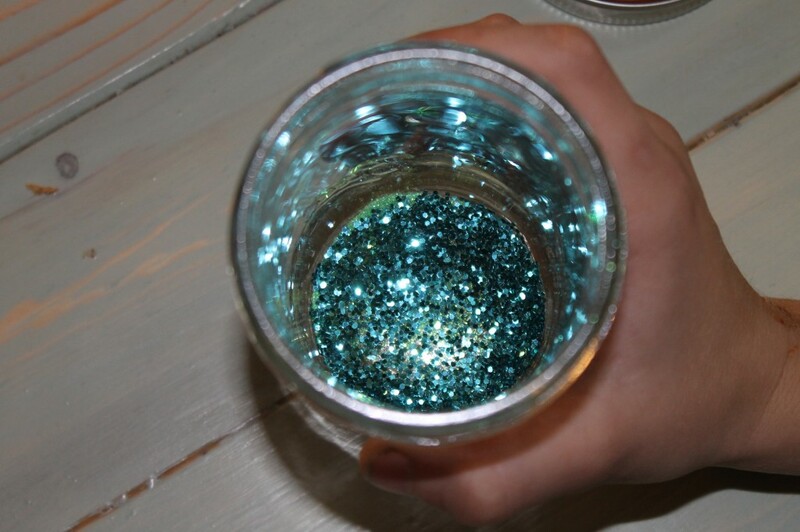 Don’t add too much, or the glitter will stick to the bottom of the jar when it’s flipped. Screw on the lid tightly, being careful not to dislodge the figurine. 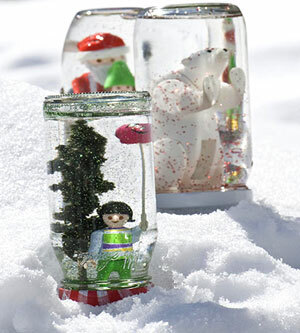 Turn the jar over and back again — and let it snow. When summer arrived, I breathed a sigh of relief while sipping a big ol’ glass of ice tea as I banished my kids outdoors to play. All summer long, my kids would be outside making forts, sponge bombs, and riding bikes. As a work at home mom, this meant sweet sanity for me. But the leaves are changing–falling down to the cooler shivering temperatures forcing us inside as snow blankets the ground. Needless to say, it forced me to get pretty creative in terms of entertaining all three of my kids (15, 8, 6). Below is a roster of activities to delight kids of all ages. 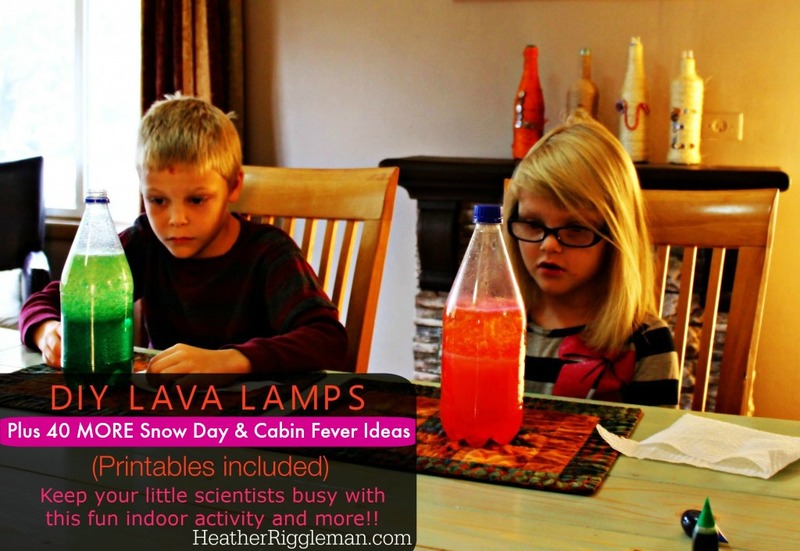 All you need are a few simple, inexpensive supplies and today’s feature is DIY LAVA LAMPS plus 40 more cabin fever ideas guaranteed to keep your kids busy and saving your sanity at the same time! 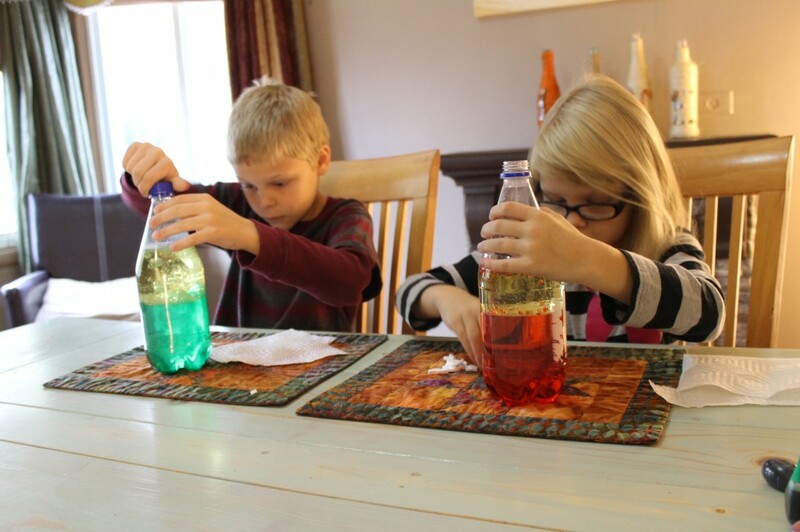 Inspire your little scientists with just a few household supplies and watch this activity keep your kids busy for hours or until the Alka Seltzer tabs run out! This activity was featured on Nebraska.tv. 1. Fill your bottle about two-thirds of the way with oil and the rest of the way with water, leaving about an inch free at the top.NOTE: We liked watching the water layer sink to the bottom, but we had to wait a while for the bubbles to disappear for the next step. 3. Break an Alka-Seltzer tablet into three or four pieces. Then drop a piece in and watch the magic. 4. 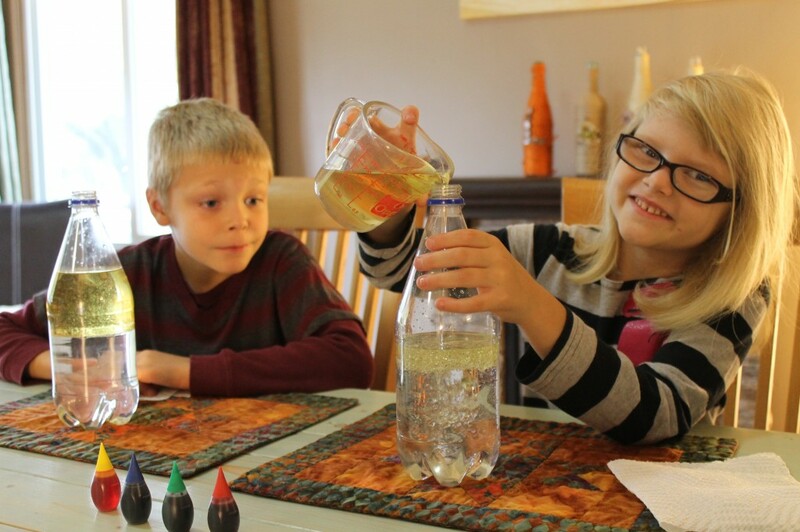 As soon as the tablet hits the layer of water, it will start to fizz and the colored water will erupt! 5. The bubbles will stop as soon as the tablet dissipates, but they’ll will start up again as soon as you add another tablet. If the oil layers starts to become cloudy with tiny bubbles, just let it settle for a while. Then you can do some more. Items needed: Homemade tickets, chairs to create rows, toys to be passengers, snacks. DVD player–optional. Line up your dinning room chairs and ask your children to collect favorite toy characters like Handy Manny, Elmo, and Stitch. In your best airplane voice, ask all passengers to board flight 1522 headed to Newcastle, Wyoming. Then collect their tickets. 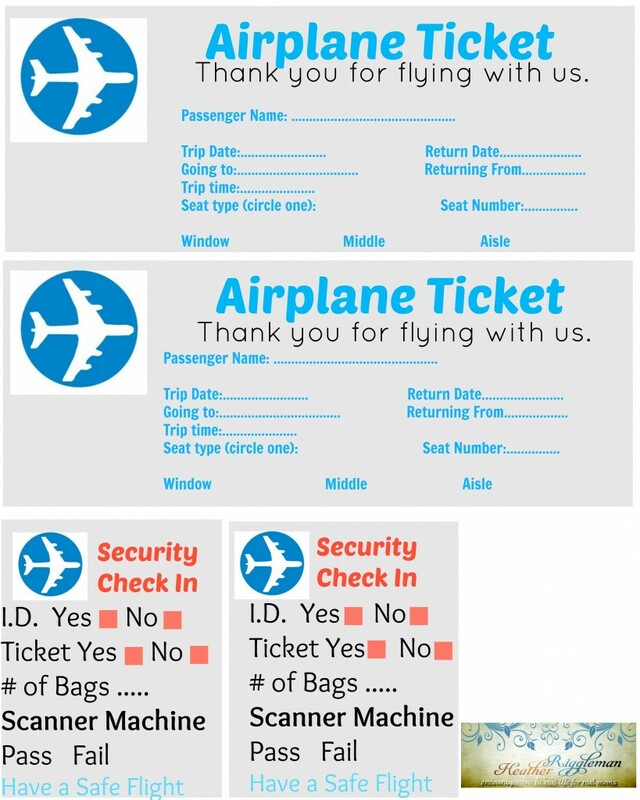 Tips: To make this more fun, create tickets ahead of time and add a mini dvd player to watch movies “in flight”, complete the flight with snacks. Let your kids invade the fridge and play restaurant with a fun printable menu plus a printable check! Printable Menu & Check. We usually make this in the summer — outdoors but it has become an indoor favorite too. 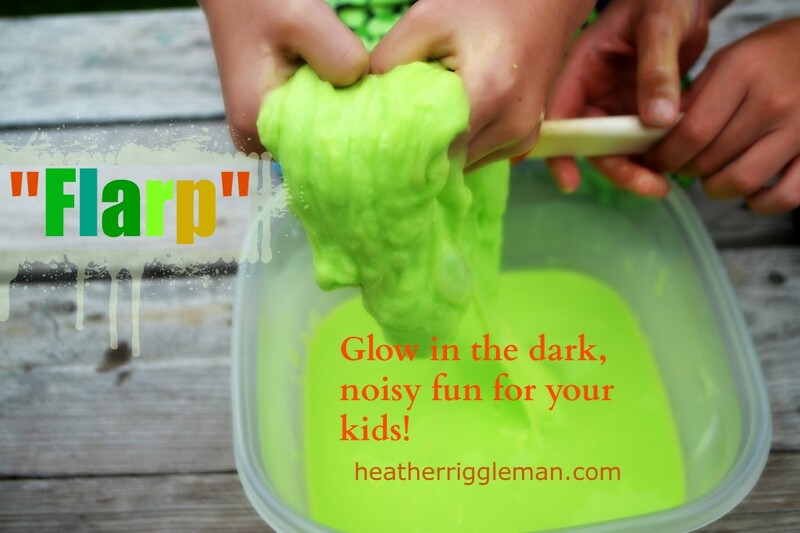 For hours of fun, FLARP glows in the dark, makes fart noises and is squishy fun. NOTE: It is non-stick which should leave you worry free about what it sticks to!! Click here for FLARP HOW TO’S. 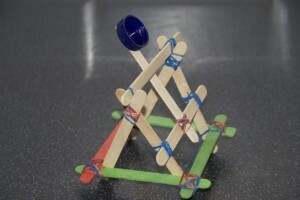 Another fun crafty experiment which will keep your kids from bouncing off the walls as they bounce their balls! 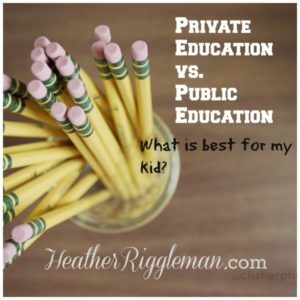 This was one of my first posts on my blog! 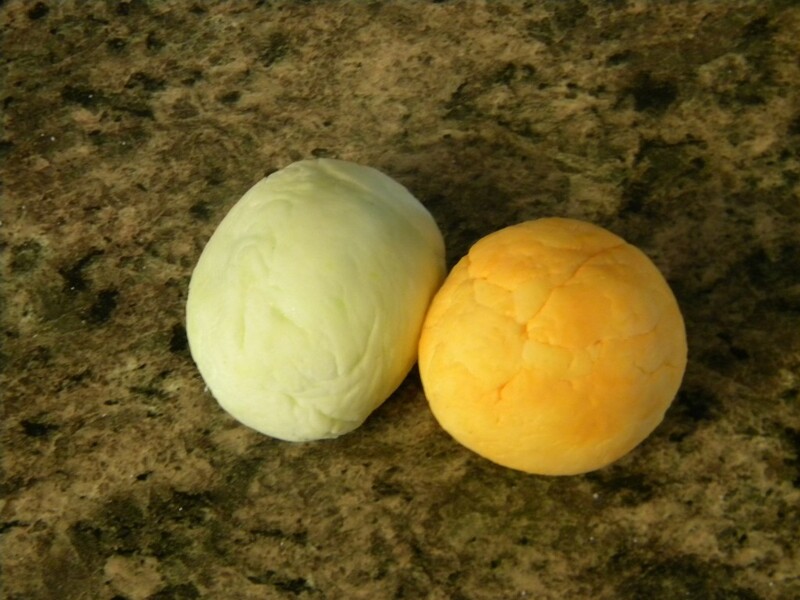 Click here for instructions and fun with Home Made Bouncy Balls. 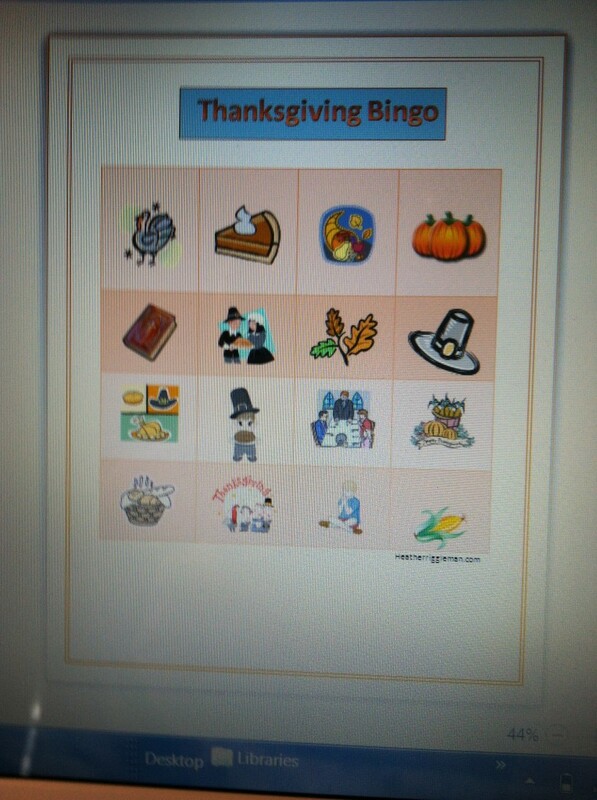 Turkey Day is just around the corner which means it’s a great time to play Turkey Bingo and create Thankful cards. Click here for instructions for both. Turkey Bingo & Thankful Cards. 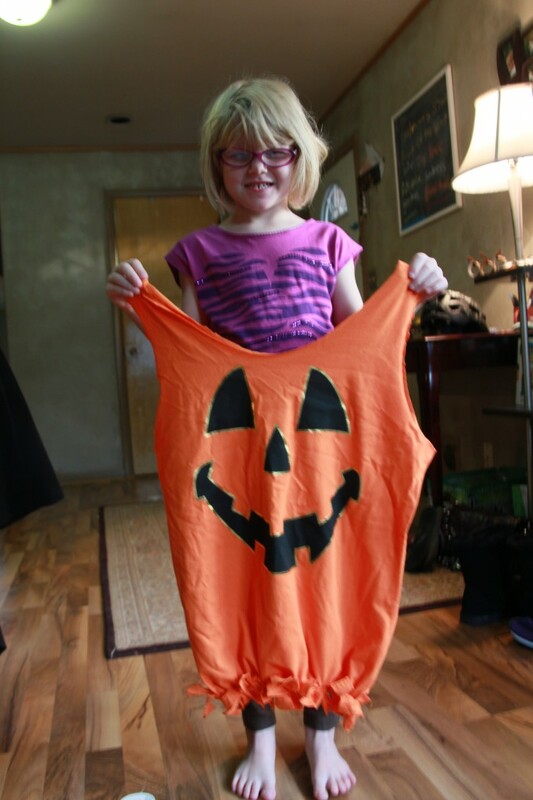 Great for library books or trick or treating, click here for DIY T-SHIRT BAG instructions. This craft needs no explanations. Easy, simple, my son and his friends LOVE it. Give your kids painter’s tape, hanging it at different angles. Then have them toss little newspaper balls at it! Might as well embrace the snow. Toss your kiddos outside with a shovel and have them shovel the driveway and sidewalks. If they have extra energy and can stand the cold, suggest they shovel the neighbor’s drive way too. Provide your kids with bowls, scoop up the snow and add it to your sauce pan. They will love watching it melt into chocolately goodness on the stove top with you. Marshmallow snowmen: put three jumbo marshmallows on a plate to create the snowman’s body. Add chocolate chips for eyes and buttons and a butterscotch chip for the nose. Then, stick the whole thing in the microwave for about 7 seconds. Take out and attach thin pretzel sticks for arms. Then, enjoy this gooey treat! Create a train like atmosphere with your furniture. Have your kids make train tickets. Then read the story and let their imagination take off. My kids love playing “train” or “Polar Train,” it’s similar to our plane idea above but this idea is magical near Christmas time. 13. Spa Day with DIY GEL Nails. I have two girls, we round up our mani & pedi supplies and stake out a place near the fireplace. You can do this with your girls, paint toes and giving facials. For DIY Gel Nails at home, click here for the post. 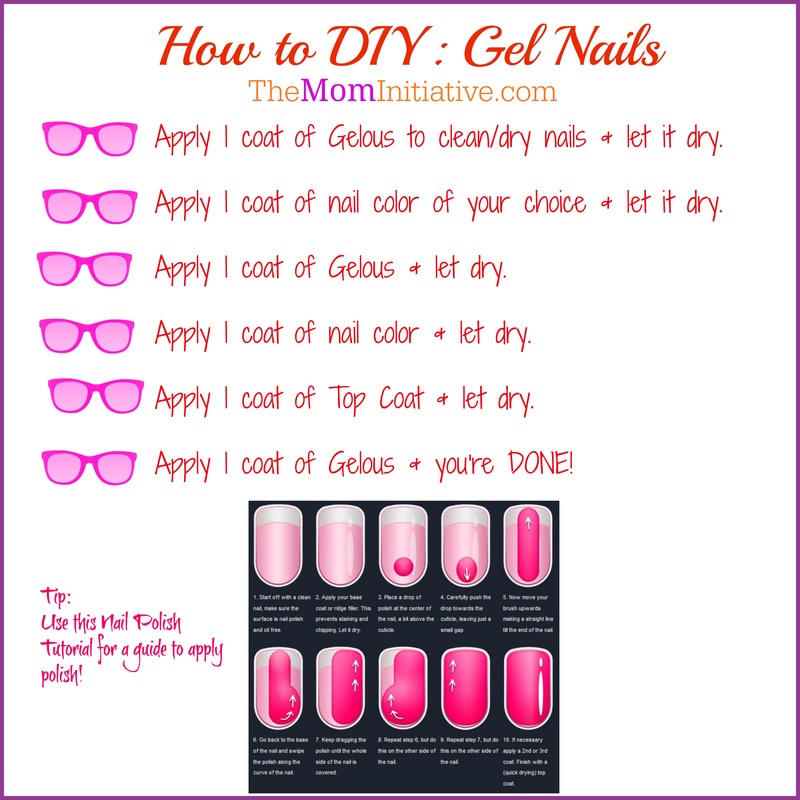 DIY GEL Nails on a dime. Mostly boys? They love competition, consider a Wii tournament or Uno. Scoop up snow in waffle cones or cups. Blend the milk, sugar and vanilla together until the sugar dissolves. Mix 4 cups of snow & stir until you get the same consistency of ice cream. Add toppings or chocolate syrup to make a Snowy Sundae! Here’s more about homemade ice cream. Who needs a table and nice cooked meals? Make cookies and other finger foods ahead of time and let your kids decide where (within reason) to picnic. In a saucepan, mix flour, salt, cream of tartar, scent ingredient, and oil. Slowly mix in water until it’s all smooth. Then turn the heat on medium and stir until it forms a ball of dough. I used a heat-resistant rubber spatula so I could scrape the bottom of the pan easily. Once it’s a ball, plop it onto some wax paper until it’s cool enough for you to touch. Put the sugar and cornstarch in a saucepan and then slowly mix in cold water. Then cook the mixture over low heat for 5 minutes, stirring constantly until you have a smooth gel. Let cool and then add dishwashing soap. 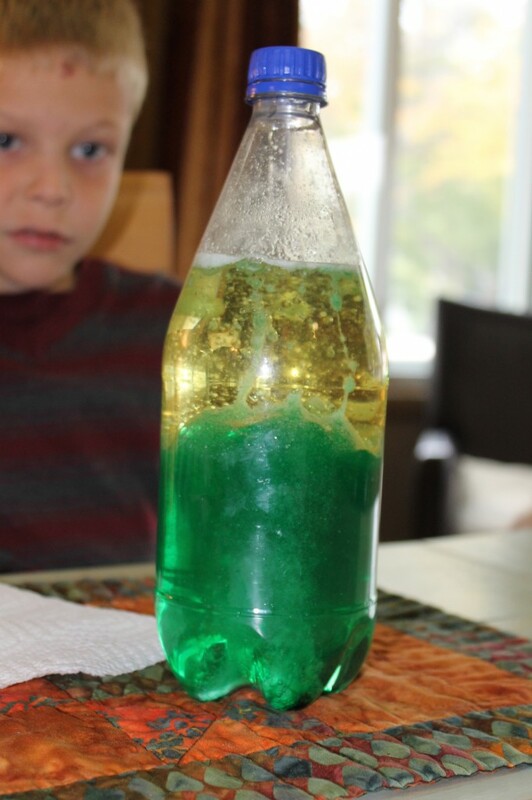 Divide into as many containers as you would like colors and then mix in food coloring drops until you have you desired color. If you have colored dishwashing soap that can influence all the colors you try to create, which isn’t always a bad thing. Here’s another recipe for finger paint. If homemade paints is for the birds, simply break out your store bought paints and let them go to town on creating. If you’re really brave, let them add glitter to their masterpieces. Have a Taffy Pull in your kitchen with your kids. I remember doing this every Christmas with my grandma. I may have to purchase some supplies and do it. You can find the directions here: Berkshire Cottage. My kids love this but be prepared for a little bit of mess. Bring in your kiddie pool and add buckets of snow. Provide your kids with their sand making supplies. OR add the snow to your tub. I like the tub, easier and less mess. There just isn’t enough time in the day to be creative. Consider finding free printable coloring pages for your kids. 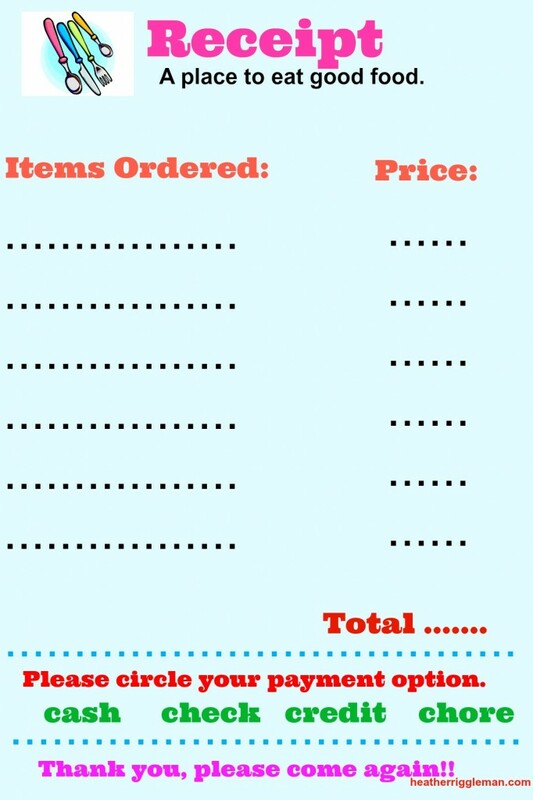 Most sites like Nick Jr, Disney, etc have printables. 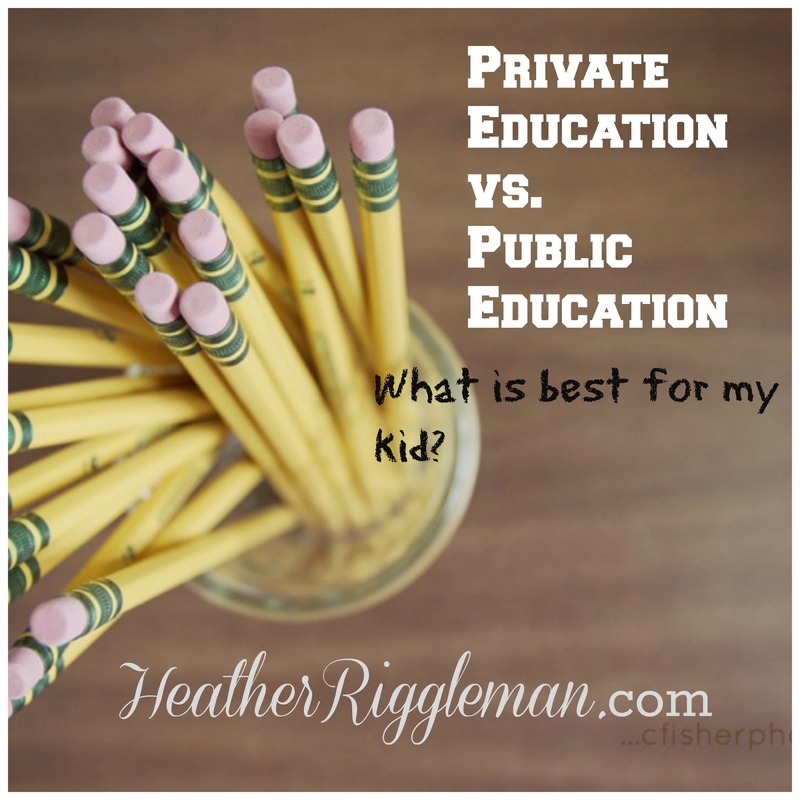 There are several sites online for your child’s education use and fun. We use ABC Mouse and Starfall.com, Other sites we like are Nick Jr and PBS Kids. There is always the best traditions of snow angels and snow ball fights. Take pictures and capture the moments. Too cold to go outside? Make a fort inside, using blankets and pillows, watch a movie from the fort! 24. Melted Crayon’s, Funnel Hearts and more. Hang up some sparkly sheets and beads, add tulle or anything fun fabric, then have your girls dress up in their favorite costumes and have a fashion shoot! 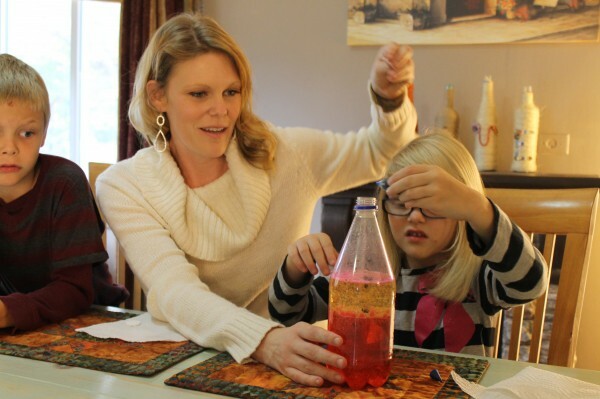 Satisfy your pint-sized scientist. Volcano, rockets, super gel. Most of the stuff is made from things already in your house. Just check it out here. Cream the butter & sugar. Add eggs & Vanilla. Add the rest. Bake at 375 for 8-10 minutes. YUMMY! Do you have a Skype account? Facebook? Google Plus? All of them have video chats now. And if you can’t video chat, just call! Grandma and grandpa would LOVE to hear from their grandkids!! 29. Bring the snow INSIDE!! Grab a few buckets of snow and put it in the bathtub. Have your kids put on gloves and go to town. The mess is minimal and the fun is maximum! Plus, you don’t have to worry about kiddos getting too cold! When it is snowing the birds have a harder time finding food. Now’s your chance to help out and give the kids an educational something to do! You can roll a toilet paper or papertowel holder with peanut butter and popcorn (or bird seed if you have some) or check out these other ways to make simple feeders. 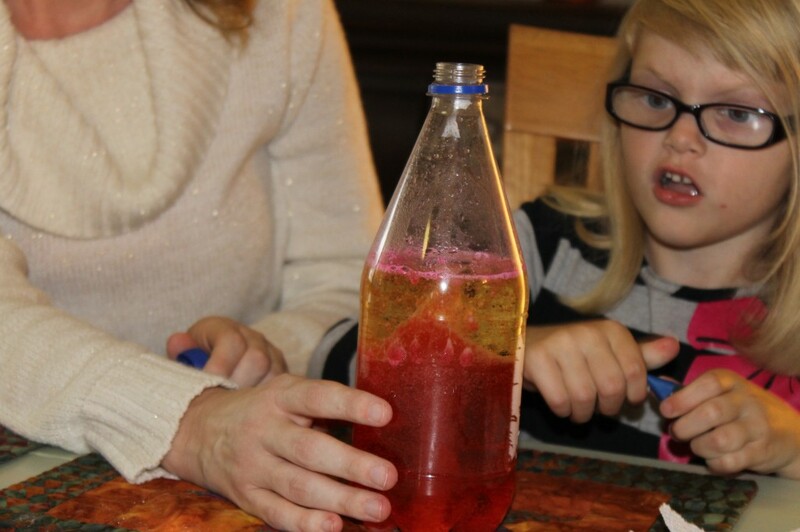 Or you can check out how we used gelatin to make a feeder. Have kids who love cars? Get them started on a living room city project. The tape outlines the streets. Then the cars can drive around and even up and over some couches, chairs and such. 32. Octopus Spaghetti Use hot dogs and spaghetti. Mix with cheese. All kinds of kid fun. **If it is cold: FREEZE BUBBLES!! Baby oil + flour. COOL! You can see some pictures here. 34. Read a Book from your library. No – Don’t go out in the snow. But you CAN check out books from your library on your tables or iPad!! You may have to log on to their web site or call for directions. Hide something in your house. Then post clues for your kids to find them. OR – Have one of your older kids hide a treasure and draw a ‘map’ of how to find it. Use coffee filters. They’re pre-cut in circles. Just fold them in half and half again. Then cut out some circles and triangles. 37. When you’re ready to go outside – Make some art! 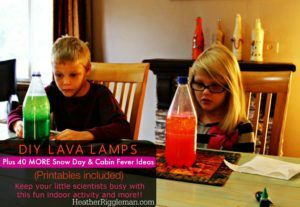 A couple squirts of food coloring in a squirt bottle or squirt gun and then send the kids outside in the snow to ‘paint’ the snow. This is also fun for decorating snowmen and women. (inside) Put a piece of paper on a cookie sheet, pile snow on top of it, then squeeze a few drops of color on the top of the paint. When the snow melts, you’ll have a neat water color picture! If you have paint, set it outside (or in your freezer) overnight to freeze it! Then kids can color with the frozen paint. Visit Science Sparks for the directions on making this bad boy! 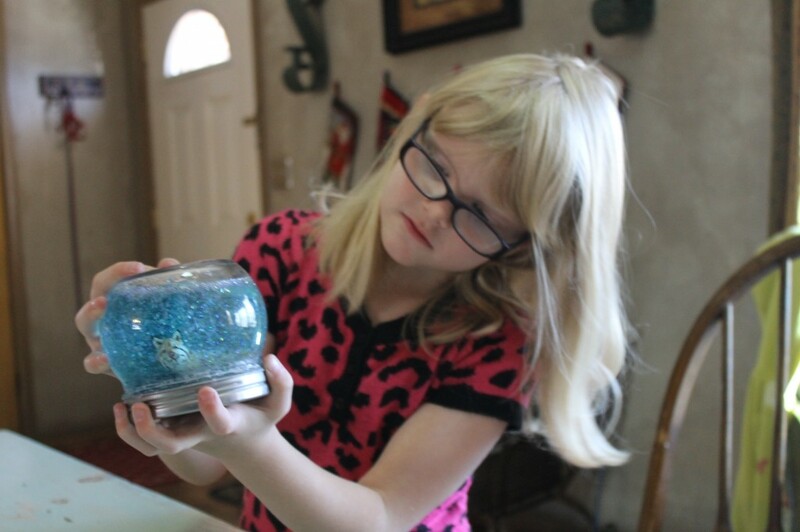 Parents magazine had a fantastic idea to make snow globes. Simply glue a figurine to a lid, add some glitter and baby oil–BAM–you have a snow globe. For directions, click here: Parents.com. Do you really trust in God? I questioned my trust and sanity level throughout this last year. I struggled to understand what God was doing in my life and why He allowed certain things to take place. 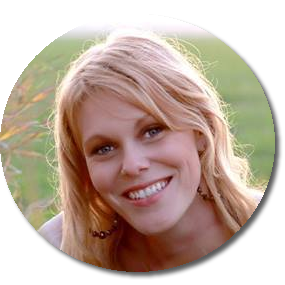 Many of you who have been following my blog know that I miscarried baby Alexandria last fall. Struggle didn’t even come close to explaining my heart. I’ve always stated and still say, “God is in charge of my uterus.” With that being said, I was overwhelmed and overjoyed at the unexpected blessing of Alex. But the day that I called my Dad to tell him what happened, I was in shock; yet his words resonated in my spirit as if God was asking me if I would trust Him with what He was doing. There was a pause as I began to sob, even though he lived 2000 miles away, my Daddy already knew. My dad went on to tell me to trust and not doubt God’s plans. He felt that there was something bigger planned for me and this would have to be my sacrifice for now. He also knew that something wasn’t right with Alex’s body, so she went home with Jesus. I would give anything to have Alex with us, yet I cannot deny His plan for me. Okay, I promise I’m getting to my point and you can smile instead of tearing up with me. 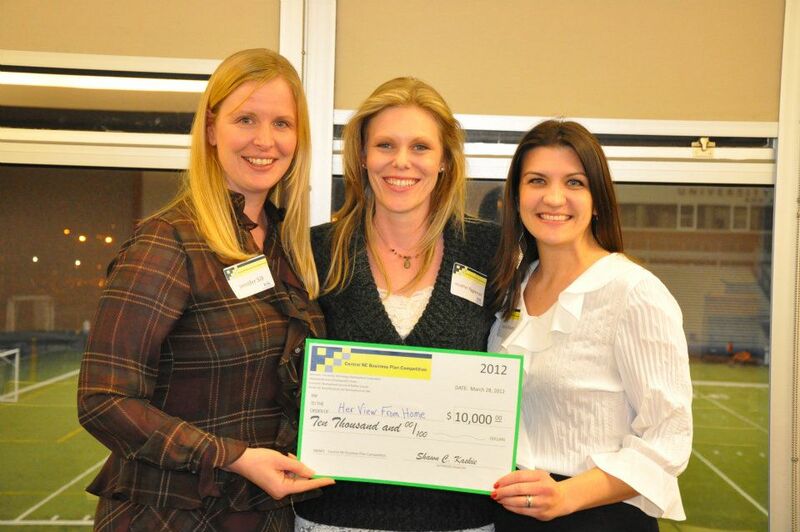 Last night, after months of hard work, my friends Leslie, Jen, I were able to realize our vision. It’s beginning to take on the facets of life we want for it. 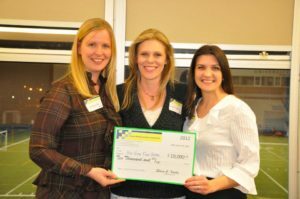 We received a check for $10,000 for Her View From Home through a rural business competition at UNK, out of 19 businesses, we placed first. Her View is about connecting women to what she loves most. It’s about inspiring the core of every woman, to be a better wife and mother, to share the good life of Nebraska. Alex would have been born on April 10th and Her View is birthing on April 12th. coincidence? I think not. Maybe you’re still on the fence about God, or maybe your faith runs as deeply in your heart, as it does mine. Had I been pregnant with Alex, Her View would not have been conceived. Had I been pregnant, my book Mama Needs A Time-Out wouldn’t be scheduled to release in May. 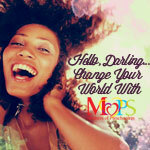 Had I been pregnant, I wouldn’t have been able to serve all my MOPS moms (www.MOPS.org) that I so passionately care about. And here’s a sneak peek of what we will be offering, beginning April 12th: Her View From Home Commercial .